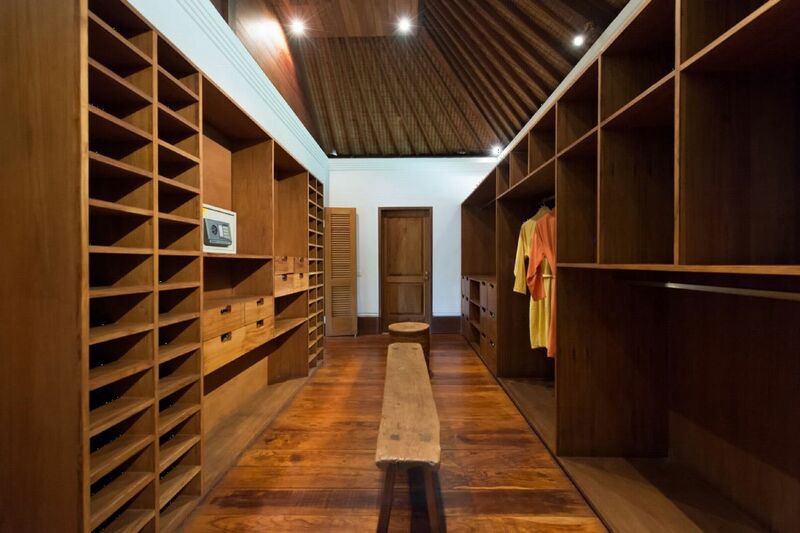 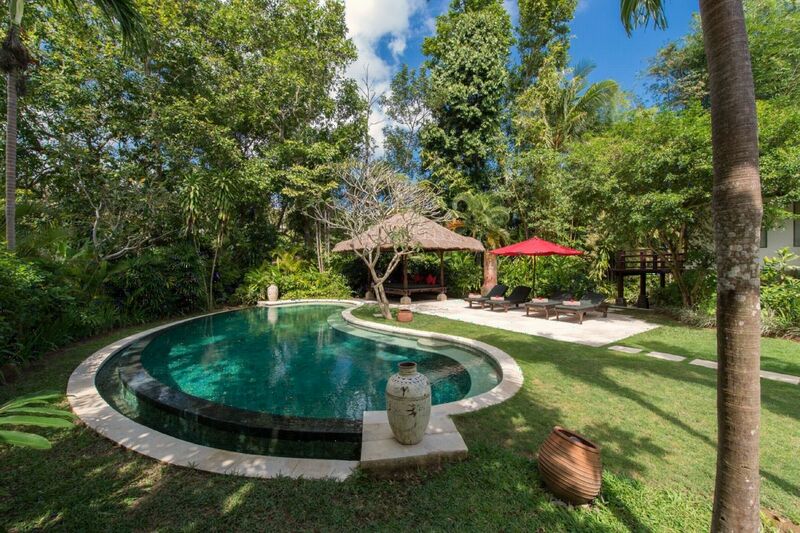 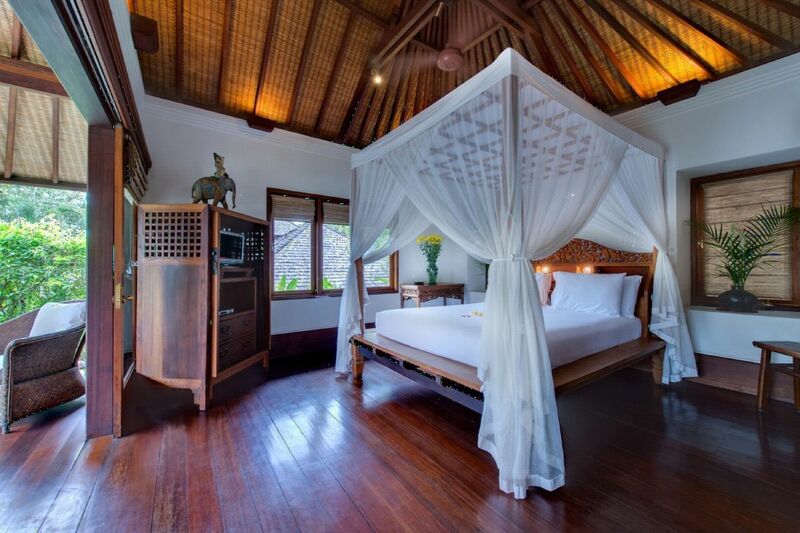 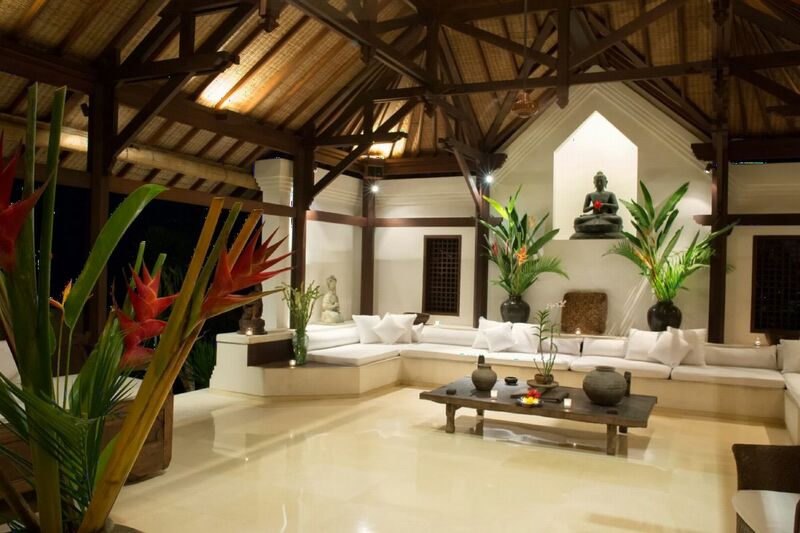 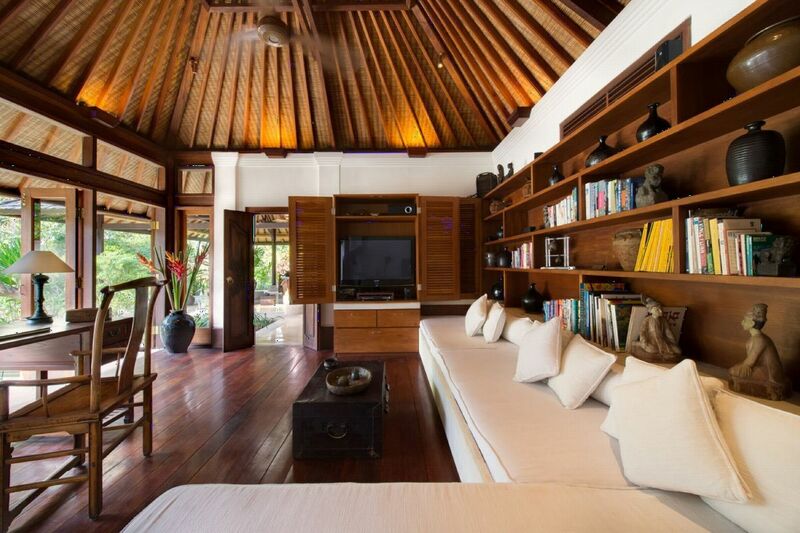 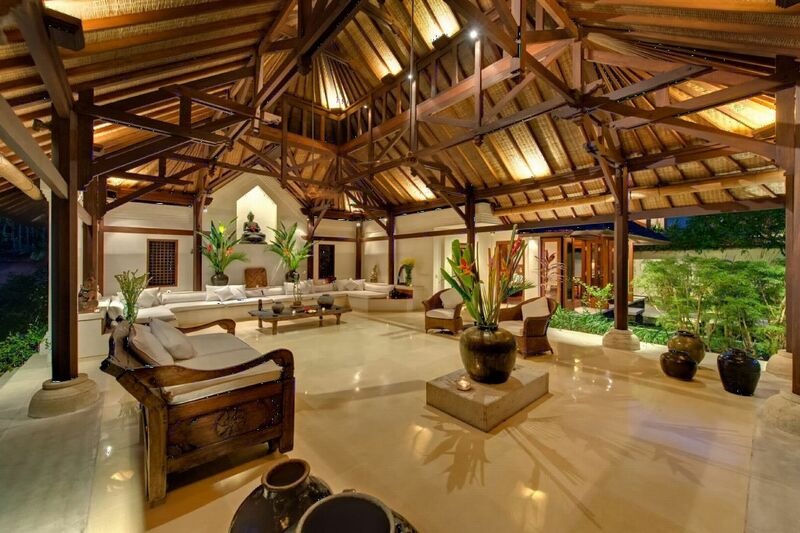 Villa Pangi Gita is hidden away in the traditional Balinese village of Pererenan on the banks of the Pangi River, within the rice field district of Canggu. 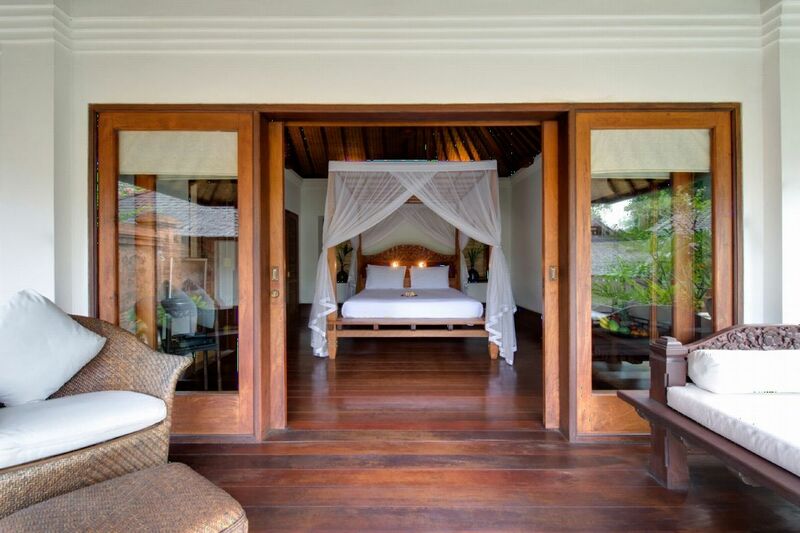 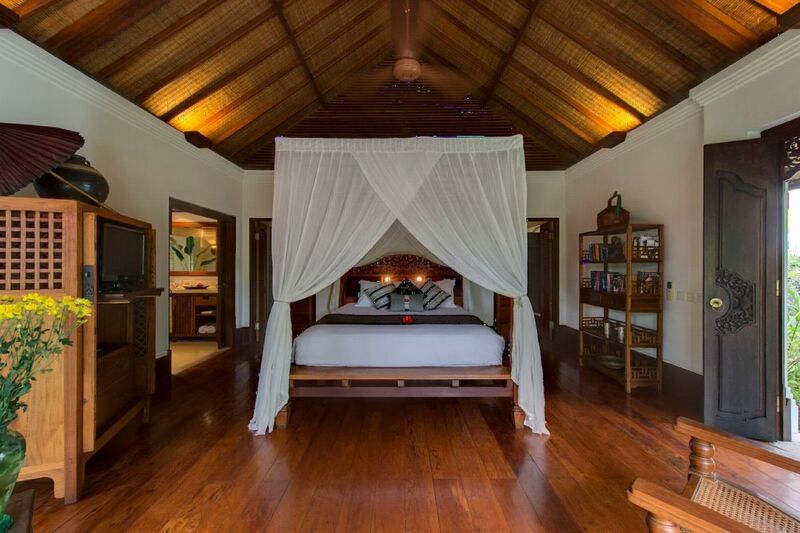 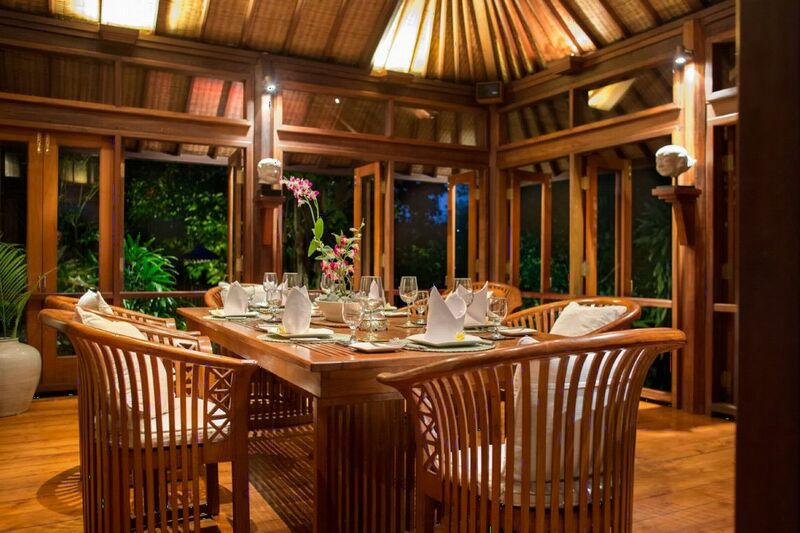 One of eight properties within the Pangi River Complex, the villa is totally secluded by high walls and lush vegetation. 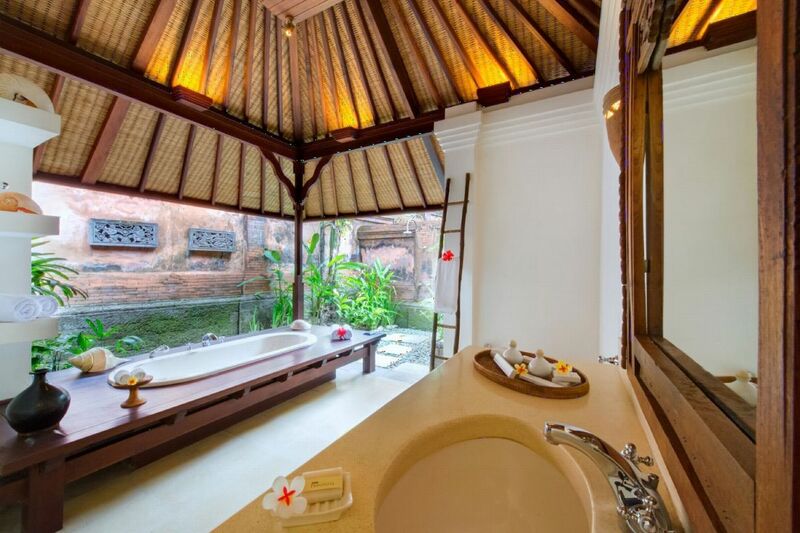 This tranquil out-of-town setting offers the double attraction of being relatively close to everything you might need, while also allowing a privileged insight into the traditions of rural Bali. 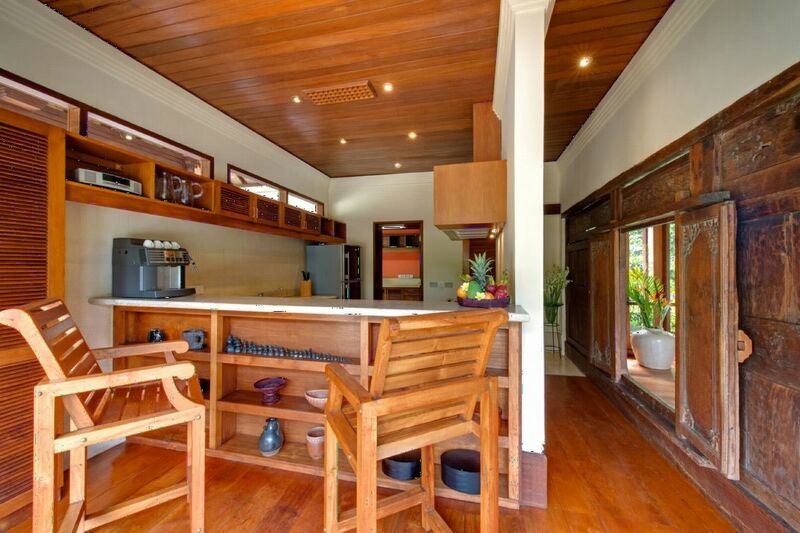 The nearby sweeping beach is renowned for its panoramic coastline views, legendary sunsets and world class surf breaks. 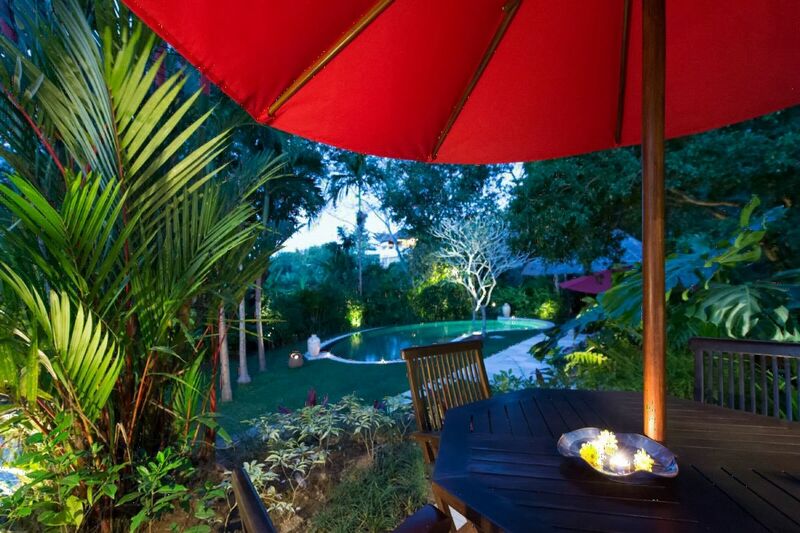 Trendy Seminyak, 20 minutes’ drive away, offers a wide choice of international restaurants, chic cocktail bars and boutiques. 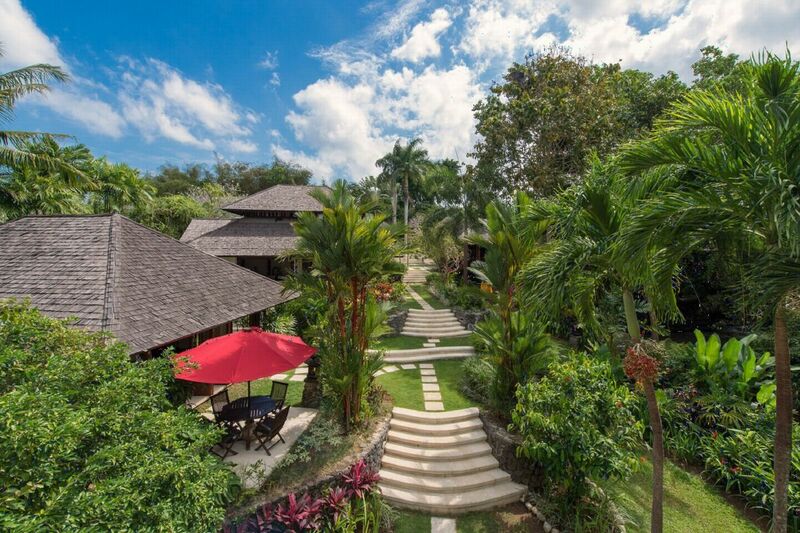 Respectful of the Balinese culture and local environment, Villa Pangi Gita features lush terraced gardens rich with foliage and exotic blooms slope down to the river. 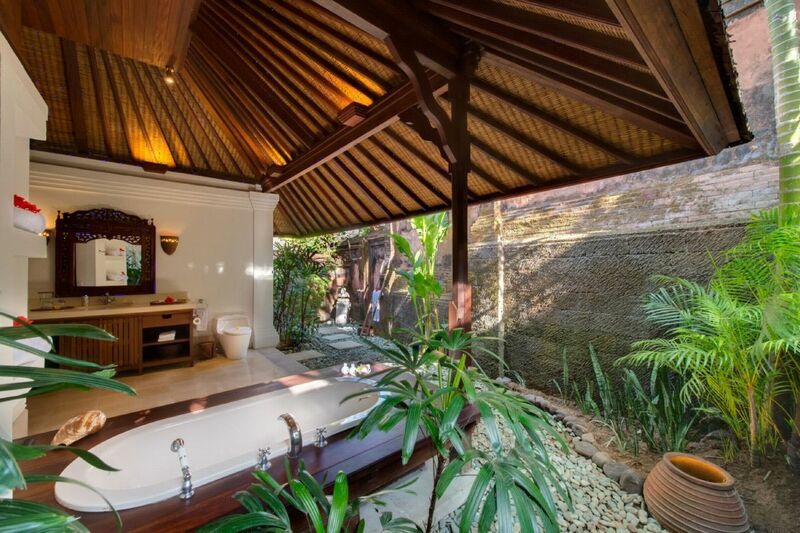 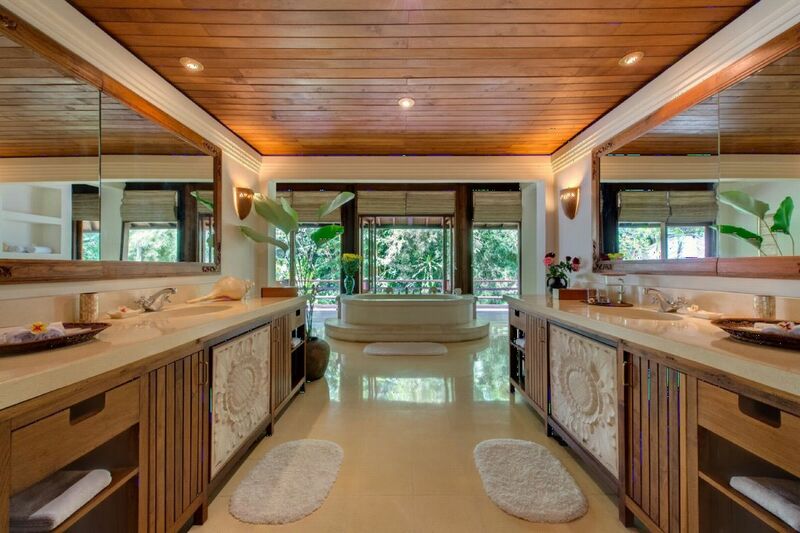 Water is an important feature that enhances the ambiance with its blissful melody. 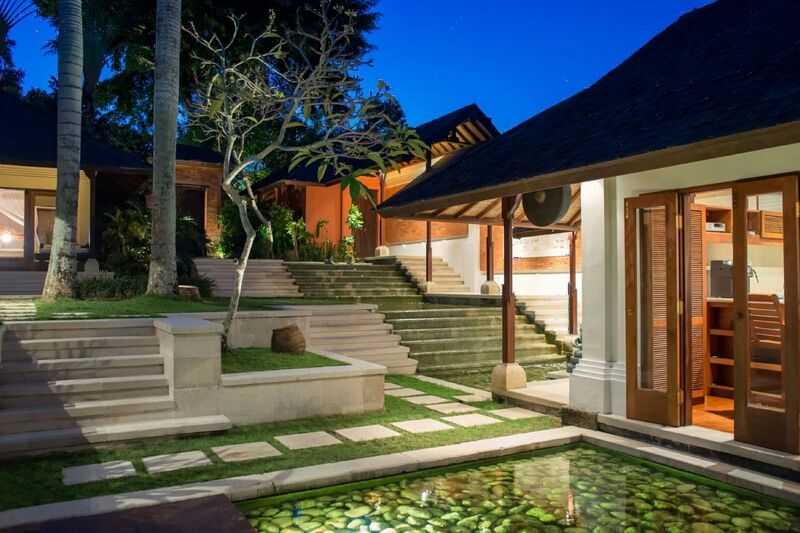 This sound is echoed throughout the villa’s grounds, with fountains and trickling fishponds cascading over terraces to create a calm and soothing atmosphere. 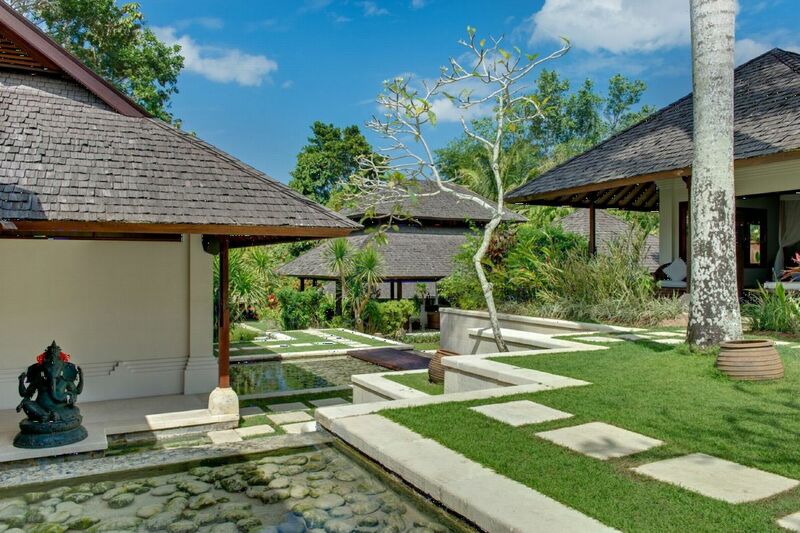 The villa flows with spaces to unwind and relax too, from the generous open-sided living pavilion, to the study or the traditional balé that overlooks the stunning free-form swimming pool. 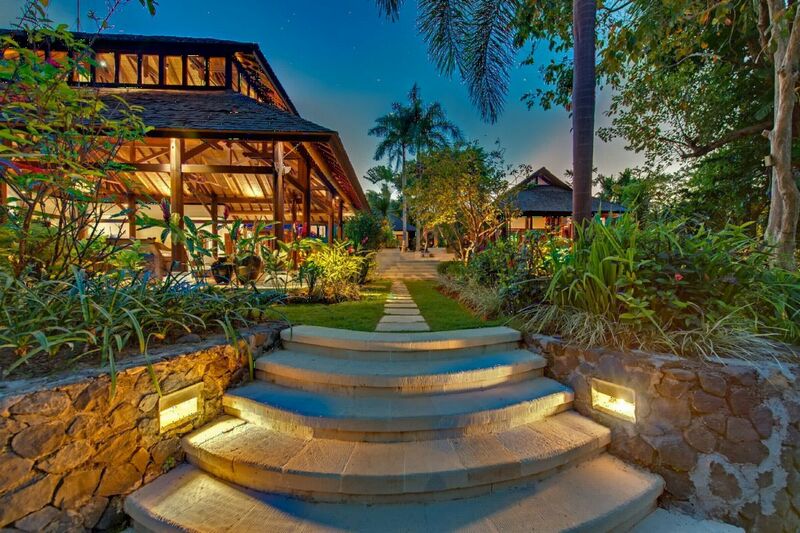 To complement this oasis, a team of warm and friendly staff are on hand to spoil you with their exceptional service.